Sydney jockey Tye Angland remains in a Hong Kong hospital after a fall at Sha Tin. Sydney jockey Tye Angland is in a serious but stable condition in a Hong Kong hospital after a fall at Sha Tin. Angland fell head first when Go Beauty Go knuckled over coming out of the barriers in the ninth of 10 races on Sunday. The Hong Kong Jockey Club did not specify his injuries but said Angland had undergone medical tests overnight and was scheduled for surgery on Monday at the Prince Of Wales Hospital. His manager Andrew Northridge said Angland’s wife Erin had flown to Hong Kong to be with her husband. “More information regarding his injuries will be known in the coming days,” Northridge said. 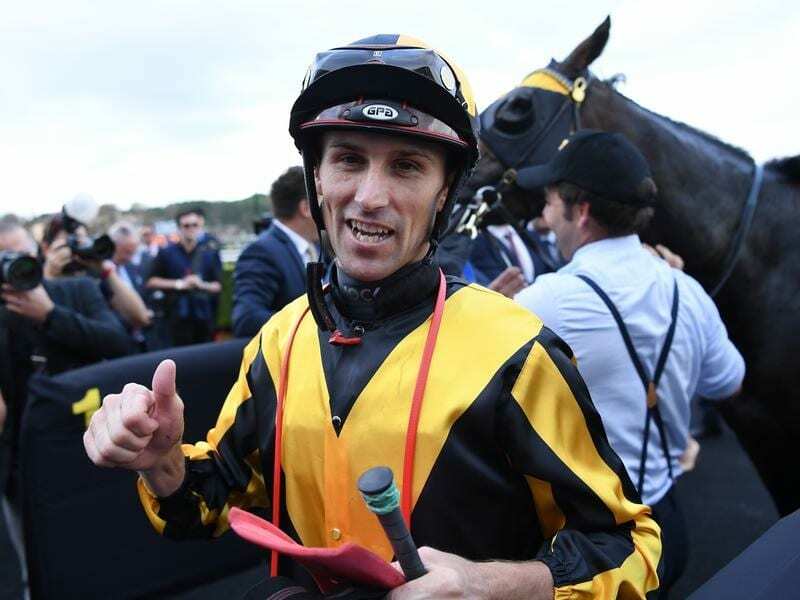 The multiple Group One-winning jockey spent four years in Hong Kong and was riding on Sunday to help fill a jockey shortage caused by suspensions and injuries. Angland’s major wins include the 2017 Spring Champion Stakes/Victoria Derby double on Ace High and three Group One wins on last season’s champion colt, Trapeze Artist.